Today, work is often done in small, simultaneously managed projects. Managers may feel like circus jugglers who try to keep many things spinning at once: there are often conflicts among budgets, schedules, priorities, and stakeholders. Most organizations have developed structures and tools for managing single large projects in one location. Unfortunately, these structures and tools may not apply to modern work situations or be versatile enough to aid managers in planning and executing several small projects simultaneously, especially when the project team is located in many distant locations. This course utilizes case studies and exercises to help each participant develop a personal plan with specific steps for improving his/her management of multiple small projects. A checklist is provided for managing multiple projects with the most appropriate tools and techniques. Organizations that have successfully improved the planning and execution of projects as a direct result of this course include The Los Angeles Times, Medtronic MiniMed, Southern California Edison (CSBU), Mindspeed, Canon Development America, Tessera, Courtaulds, Pilkington, Boeing Space & Satellite Systems, Arkema, Universal Silencer, Silicon Light Machines, Wells Fargo Bank, Glendale Memorial Hospital, Unified Western Grocers, and Los Alamos National Laboratories. Excellent—he obviously knows both project management plus how to train! Lots of actionable information. Will be fun to collect a set of takeaway messages. The course will help me manage the daily chaos of what I call my life. Synergies is what I want to strive for. Outstanding. Great wealth of experience and perspective. Engaging style. Chris’ hard-won nuggets of PM wisdom are great! I found this class very practical and useful. The tools demonstrated in the class are applicable to many positions and I cannot wait to return to work and implement them. Thank you. Your humor and jokes added great personality to the class. I learned many tools which I will implement in a staged manner. It was practical. I appreciate the instructor’s energy and experience sharing. I even appreciate his humor. I was surprised how fast the time passed in the class. The instructor was very knowledgeable about practical applications. This is an excellent, practical course. He covered a lot of excellent material, and whetted my whistle on items I will look into more deeply. Chris Christensen, MS, MBA, President, Christensen Associates, Inc., a management consulting firm, Playa del Rey, California. For three decades, Mr. Christensen was a program and project manager in the aerospace, high-technology components manufacturing, and systems integration industries. He successfully managed huge projects, medium-sized projects, and many small simultaneous projects in both large and small corporations. 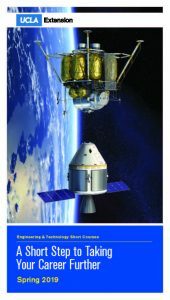 Some of his large projects produced communication satellite payloads, intelligence data fusion systems, air defense systems, business and manufacturing process improvements, and the development of computer games and new electronic devices for commercial sale. Most of Mr. Christensen’s projects were performed with virtual teams. The mutual efforts of project team members located in India, Japan, England, North Carolina, Southern California, China, Thailand, Taiwan, and Korea required integration and coordination. In 1992 Mr. Christensen launched Christensen Associates, Inc., to coach and train executives, managers, and senior staff in effective business management. He facilitates off-site retreats as well as on-site workshops in establishing project management offices, assessing the project management capabilities maturity of the organization, strategic planning, new product development, and project performance monitoring and control. Mr. Christensen holds a BS in physics, an MS in engineering, and an MBA. He is a certified Program Management Professional, Six Sigma Black Belt, and Certified Quality Manager. He teaches courses in managing multiple projects and virtual teams at UCLA, Loyola Marymount University, and the California Institute of Technology.